EDINBURG — After Sacramento Republic scored the game-winning goal on a Carlos Rodriguez header in the sixth minute of stoppage time, all the Republic players on the pitch charged toward the middle of the field in celebration. 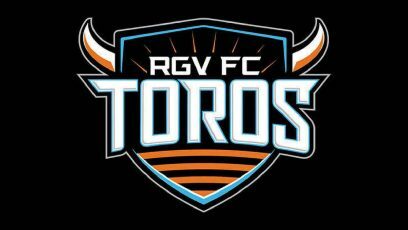 And when the officials blew the final whistle on the match just two touches later, RGV FC Toros coach Junior Gonzalez was also running out on the field, imploring officials to explain how Sacramento had scored a game-winning goal more than 5 minutes and 30 seconds into a stoppage time period that was meant to last 4 minutes. “I’m trying to figure out where he got two extra minutes out of,” Gonzalez said. Whatever the cause of the extended duration, the result was a 2-1 Toros loss on Saturday at H-E-B Park. The final tally came when the Republic’s James Kiffe sent a corner kick to the far post, and Rodriguez fought around the Toros’ Ivan Magalhaes to get a header on it from about 8 yards. The confusion surrounding stoppage time was just part of RGV FC’s disappointment. Villyan Bijev netted the equalizer for Sacramento just three minutes later, in the 72nd minute. The loss drops the Toros to 7-13-7 on the season. RGV FC hasn’t won at H-E-B Park since June 10, with three losses and four 1-1 draws in that span. The Toros haven’t won overall since Aug. 6, taking three losses and three draws since. With just five matches to play, RGV FC clings to only an outside shot at the playoffs, needing to make up six points and leapfrog at least five teams to earn the No. 8 seed in the Western Conference. The Toros next chance to make up ground will be a home match Saturday against Reno 1868.